NEW YORK, March 7, 2019 /PRNewswire/ -- Criteo S.A. (NASDAQ: CRTO), the advertising platform for the open Internet, today announced Marie Lalleman as a new member on the Board of Directors. Marie's appointment will be effective on April 26th, 2019. Marie Lalleman is currently Executive Vice President at the Nielsen Company. She leverages her deep expertise in retail, e-commerce and digital media to lead Nielsen's work with key global strategic clients as they navigate digital disruption and business model transformation. 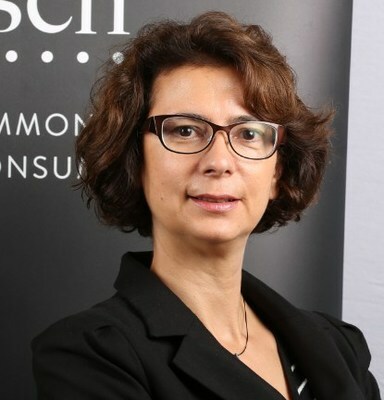 Marie has held a variety of roles at Nielsen, with increasing responsibility. Her experience includes leading alliances and business development with global strategic clients across several continents. Throughout her career, Marie has led multi-country teams and has worked in a broad range of industries in Western and Eastern European markets as well as in the United States. In today's fast-changing global business environment, she values multicultural backgrounds and diverse thinking as critical to decision making and business success. Marie is currently a member of Nielsen's Global Operating Committee, Global Media Executive Committee and serves on the Board of Directors for Mediametrie/Netratings SAS. She is also a Global Executive Sponsor for women in Nielsen's Employee Resource Group, consisting of 5,000 members across 70 countries. "As Criteo's ambition is to be the leading advertising platform for the open Internet in a rapidly changing environment, we're pleased to welcome Marie Lalleman to our board of directors," said JB Rudelle, CEO and Chairman of the Board, Criteo. "Her extensive global experience with the retail and media digital players and her understanding of the transformation dynamics of the industry will support our efforts to meet our customers' needs." Criteo also announced that Sharon Fox Spielman, current independent director, announced her decision to resign due to business commitments, and her term will end on April 25th,, 2019. Sharon was appointed to the board in 2016. "We want to thank Sharon for her years of service to Criteo", said JB Rudelle. "Her in-depth expertise in retail, brand and digital marketing has been invaluable, and we are grateful for her many contributions." The appointment of Marie Lalleman and Sharon Fox Spielman's resignation from the board in April will maintain the total number of 6 independent directors, keeping the board's gender balance where half of the independent directors positions are held by women. Criteo is committed to a diverse workforce representation across all business areas, and at every level of leadership. Criteo believes having a diverse workforce and a culture of inclusion fosters innovation, enables the company to better serve customers and strengthens the company's ability to attract and retain top talent. Criteo (NASDAQ: CRTO) is the advertising platform for the open Internet, an ecosystem that favors neutrality, transparency and inclusiveness. 2,700 Criteo team members partner with over 19,000 customers and thousands of publishers around the globe to deliver effective advertising across all channels, by applying advanced machine learning to unparalleled data sets. Criteo empowers companies of all sizes with the technology they need to better know and serve their customers. For more information, please visit www.criteo.com.